Welcome to the School of Ophthalmology. 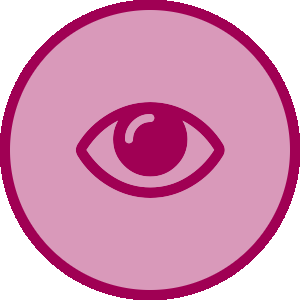 The ophthalmology programme offered by Health Education England working across the North West will give you an unparalleled exposure to the full range of ophthalmic disease and its management. In addition to your clinical and educational supervisors, you will also have the support of a trainee mentor to help you through the early stages of training. You may also have the opportunity to be involved in international ophthalmology training initiatives. An ARCP (Annual Review of Competence Progression) will take place for all trainees (including LTFT trainees) at least once per calendar year. For most trainees this will take place in June however some trainees may have their ARCP in January. Ad-hoc ARCPs may take place at other times of the year as required. The ARCP outcome will be decided at an ARCP assessment panel at which the trainee will not be present. All evidence must be uploaded to the e-portfolio 2 weeks in advance of the ARCP assessment panel. Documentation should be uploaded regularly throughout the year. Trainees issued an unsatisfactory outcome (Outcome 2, 3, 4) must attend the ARCP feedback panel to discuss the outcome and objectives for the next period of training. The majority of trainees will be assessed as they approach the end of their training year. The programme support team at HEE will advise the trainee that they are having an ARCP and that their portfolios must be fully up to date. Following the assessment trainees will be issued with an outcome and this will be recorded on both the e-portfolio and HEE’s Trainee Information System (TIS). Trainees that are part way through a training year at the time of the ARCPs i.e. LTFT or out of sync due to maternity leave, etc, will be assessed pro-rata. Unfortunately the e-portfolio system works on the basic principle that an Outcome 1 automatically upgrades the trainee to the next stage of training. In this instance a manual adjustment will be made by the College. Occasionally trainees will have an educational review. This is usually for trainees that are on an adverse outcome and the panel wish to check their progress. Trainees will be advised that they are having an educational review and that their portfolios must be fully up to date. Trainees will be asked to complete a template form (currently being agreed and finalised) and this must be uploaded in the ‘additional evidence’ tab selecting ‘interim review’ as record type (a small ‘IR’ icon will then appear alongside the relevant ARCP). No outcome will be issued and following the review the Training Programme Director or member of the panel will feedback to the trainee. The above guidelines refer to a number of documents to be uploaded. The templates for these are as follows. Please use only these templates and not alternative versions. It is a trainee’s responsibility to set up their own ARCP dates and cut-off point (2 weeks prior to ARCP date) on the e-portfolio. Once the cut-off point is reached the ARCP that is ‘Open’ will switch to ‘Under Review’. The system will prevent ARCP reviews from being completed if the status is ‘Open’. Following an ARCP trainee’s must sign off the ARCP form. If the form is not closed off the system is unable to generate another one for the next assessment. If you have any queries regarding any of the above please contact a member of the programme support team.